Duchesne's House Program includes our alumni too! 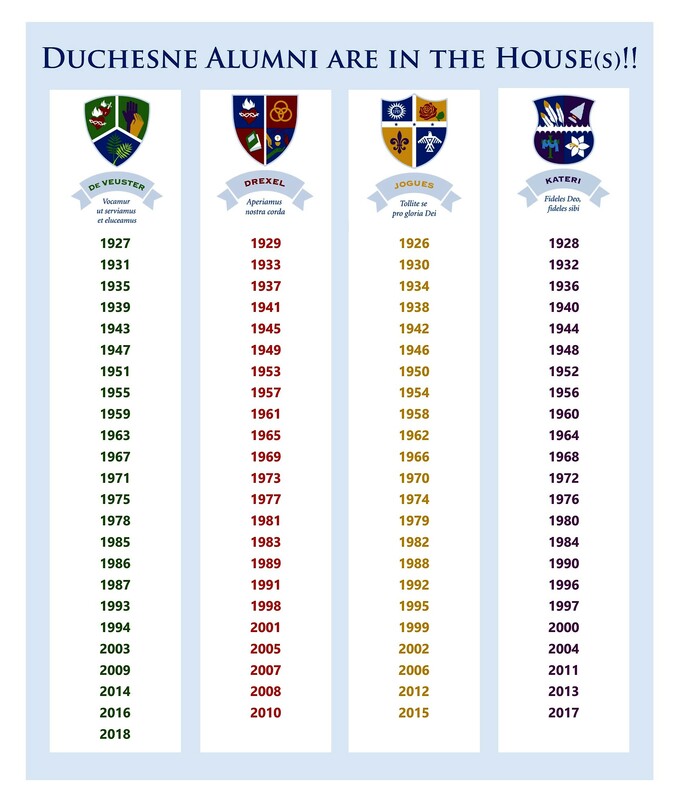 See your graduation year below to find your house. Attend Marquee Events and help your house earn House Cup points. Marquee Events will be posted here when scheduled.